A common question from people looking to outsource their business tasks to the Philippines is whether to hire part-time or full-time Filipino workers. Which is better? It really depends. Different situations may call for different solutions. You may not be in a position to hire a full-time employee. Or perhaps you found an ideal worker who might not be available on full-time due to other commitments but you’d love to have him or her part time. There’s nothing wrong with hiring part time. A part-time worker can be a tremendous asset to our business and can fulfill critical needs. But if you have the opportunity and things work in your favor and in the favor of your employee, it’s best to hire full time. Here are a few reasons why you should hire full time, when feasible. 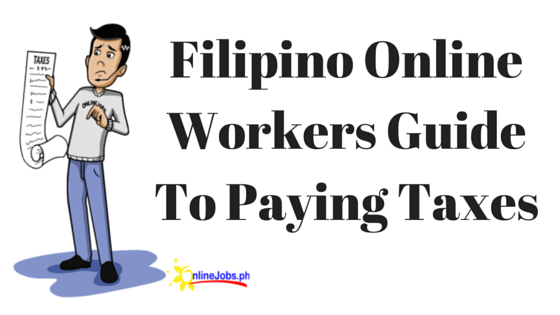 Plain and simple, it just makes financial sense to hire Filipino workers full time rather than part time. Let me illustrate by relating a few stories. I hired an artist to do some drawings for some of our blog posts. His asking price was $440 a month for full time. Not thinking I had enough work for him to come on board full time, I decided to hire him on a part-time basis. The two of us negotiated a per-drawing rate, and he got busy. During his first month, I paid him $300 for a decent amount of work, but still only about half of what a full-time worker could have provided. He requested to be a full-time employee, but I still didn’t think I had enough for him to do to warrant making him full time. In the second month he did more work—about two-thirds full time—and I paid him $500. Again, he asked for full-time status, but I still thought the workload wasn’t there. At the end of month three I discovered I had paid him more than $800 that month alone! I then realized I did in fact have enough work for him to do as a full-time worker and offered him to the chance to be a full-time employee. He asked for $440 a month, and he started full time at the end of November. I could have saved myself a lot of money had I hired him full time from the beginning. This worker has done an excellent job. He has a good attitude and completes all the assignments I give him. Best of all, he’s happy knowing that he has a long-term stable position. It’s important to make a distinction between part-time employment and contract, or per-project, work. Contractors (often referred to as freelancers) are hired to work on a temporary basis. You would hire a contractor to complete a specific task over what is usually a short period of time. You want a virtual assistant you can count on—someone you know will be around for a long time. It’s far easier to work with a VA on a permanent, long-term basis than someone who is going to come and go with every project you assign, as would be the case with a contract worker. The fact is, it makes so much more sense for your business to hire someone at a full-time, permanent status. Part-time work doesn’t necessarily have to a short-term relationship, though this sometimes is the case. It’s entirely possible to have a part-time employee contribute to your business for a long period of time. A part-time employee is simply a worker you have hired to perform tasks for that can be done under 40 hours a week. But if you have a really talented VA could can and wants to do more, isn’t it worth the investment? Wouldn’t it make more sense to hire them full-time and get more work done? Temporary work has its drawbacks for both the employee and the employer. For the employee, knowing they have been hired to work on a temporary basis leaves a sense of uncertainty. Contract workers don’t have the security of a full-time employee. Their level of commitment won’t be as strong because they don’t have that connection to their work, not like a permanent worker. A temporary worker will always be under a great amount of stress because they know they’ll soon have to look for another job. As an employer, you are in a difficult situation with a contract worker. You’ll spend a significant amount of time training and teaching, only to see the person leave after a few months. Then you have to start the process again. If you were to hire a full-time, permanent worker, then you’ll train the person and benefit from their efforts for years to come. Or, in another scenario, you might shy away from adequate, in-depth training of temporary workers because you know they will be gone in the near future. Filipinos love the stability full-time work provides over freelance/temporary work. This is so much the case that they often have a lower asking price for full-time work than they do contract work. One time I was recruiting for a position and found a candidate on Onlinejobs.ph. He was asking for $420 a month. This same candidate had a profile on Odesk.com (now known as UpWork), where his asking price was $8 an hour. It doesn’t take a genius to figure out the working 40 hours a week at $8 is a heck of a lot more than $440—$1,280 to be exact! But this candidate, and many more like him, was willing to accept much lower for the chance to have the full-time, permanent work I was offering. At Odesk, this person might have made $1,000 or more in a month, but as a temporary employee, his stay with whatever company gave him assignments would be brief, and he’d be out looking for other work. I have had similar experiences in speaking with Filipinos. I was once in a grocery store on a remote Filipino island. In the store I was speaking with an employee who was responsible for stocking the shelves. I learned that his man would be staying in this particular job for six months and would then return home to Manila via a 16-hour boat ride where he would look for more work. What a difficult situation for this man to be in. He had temporary work, and upon his return home he would basically have to start over. It’s easy to see, then why Filipinos would much prefer full-time, stable employment over something temporary, even if the contract job pays more. Because Filipinos value full-time work. If you hire a VA part time, he or she will likely be looking for additional work while working for you. This means the VA’s level of commitment may be lower than if he or she was working with your full time. The VA in this case won’t have the time to devote full attention to your business. Their time will be split between you and someone else. You don’t want this. You want the worker helping with your business and not looking over his shoulder wondering when the next full-time opportunity will be available. Similarly, part-time workers will almost certainly be working part time for someone else to supplement their income. 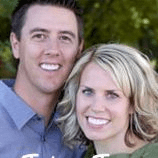 Suppose this worker was a tremendous asset to your business and you valued your relationship. But at the same time, they were doing great work for another part-time employer. What happens if the other part-time employer offers your worker a full-time job? Then you lose that person altogether when, if you would have had them on full time to begin with, you wouldn’t have to worry about someone else taking them away. There’s also the possibility that if you have a part-time worker, he or she will work for a full-time employer as well. And the reality is, if they’re going to please their full-time job first. Isn’t the whole point of you hiring a Filipino VA to allow you to spend less time at work? Your intention is to replace yourself in your business, not to take hours and hours training or finding work for your part-time VA.
With a full-time employee, you can hand down tasks you would otherwise have to complete yourself if your worker was part time. And if you want to take some time off from your business, full-time, permanent employees can pick up the slack easier than a part-time worker can. Because a full-time worker has a greater level of devotion to your business and because you can more effectively and completely train a full-time worker, the work will this person turn will usually be better. Consider two employees: one works part time for you and for another employer; another works full time for you only. The full-time employee receives more training and is more invested in the business. Who is more likely to give you excellent work? Who is most likely to outperform the other? Overwhelmingly, the full-time VA will give you better results. Of course, this isn’t always the case. Part-time workers can be more than capable to meeting and exceeding your expectations. You chances of getting solid work are simply greater from a full-timer than a part-timer. Not only will a full-time VA be more productive and prolific than a part-timer, but you, too, will be more effective in your job. With a full-time employee filling a specific role in your business handling day-to-day tasks, you are now free to handle more important duties that you would otherwise have to neglect. You are now more available to consider innovative ways to expand your business or spend time training other VAs that you might have brought aboard. You might not always be able to hire full-time employees. I have a few amazing people working for me on a part-time basis. They also have full-time jobs, so it’s just not possible for me to hire them full time. Don’t assume that part time equals disaster. There’s nothing wrong with part time; full time is just better. John helps business owners learn to outsource to the Philippines and replace themselves with virtual assistants. He currently employs 14 amazing Filipino workers full-time and loves every one of them. He lives in Utah, has a wonderful wife, 5 amazing kids, and golfs 4-5 times/week.